Yesterday, and again today, it's much too dark for morning photos. 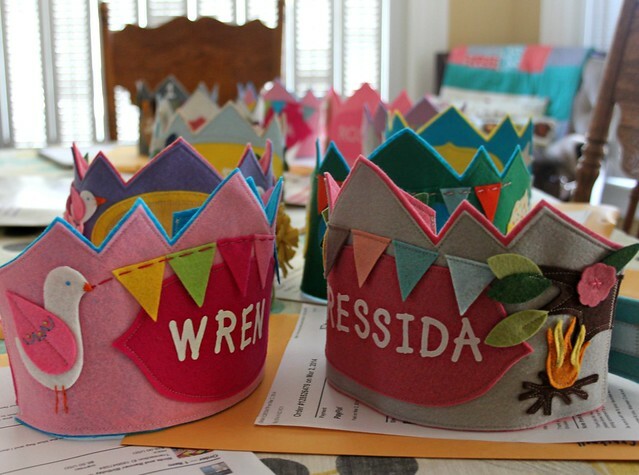 After another busy weekend with only sewing time for etsy order making, our table looked just as it did last Monday, full of finished birthday crowns waiting to be wrapped up and shipped out! In between finishing a few more orders throughout the day yesterday, I made my quilt binding eagerly anticipating the return of my Rapture quilt! 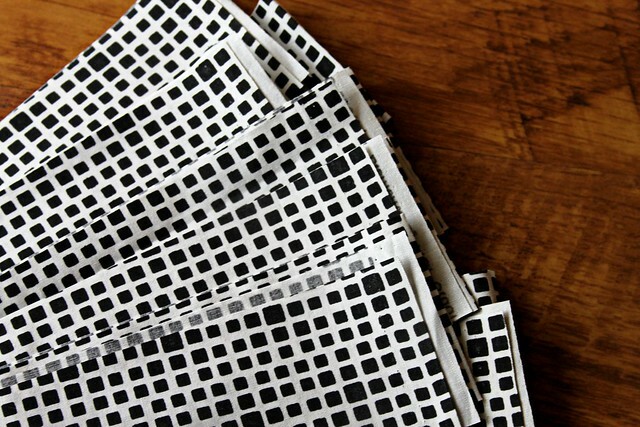 I chose Art Gallery Fabrics' Squared Elements in Noir and made a huge spool of it, certain I'll be wanting to use this print again sooner than later on another quilt! I took lots of pretty photos of the daffodils Kevin bought for me on Sunday. Daffodils are so very special to me. I share on that in this post written exactly four years ago today. It was so hard for me to write then and is so hard for me to believe it's been this long. 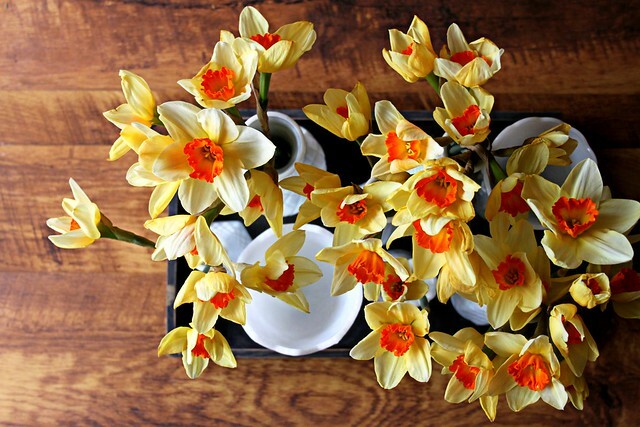 Today, I think I'll move these daffodils from the kitchen island to my sewing room to keep me company while I begin work on my Meadow quilt and to remind me that even dark days are such a gift. 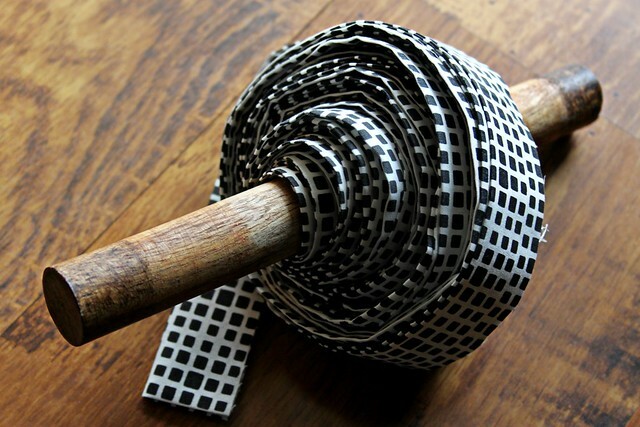 I love the wooden spool for your binding-very creative! Thanks! I have a small collection and this one leaves the center hole just large enough to fit on the foot of my extension table to slowly unroll as I machine bind, I love it! Oh, what perfect combination to set up the mood for sewing! Enjoy! The daffodils are so pretty and a sweet reminder of your friend. I can't wait to see the finished quilt! I do the same with bindings~~except I use toilet paper carboard cut in half and store on a paper towel holder from which it rolls smoothly! Love your daffodils! That's an equally great idea Susan, thanks for sharing!! Love your daffodils!! They are my favorite flower...Great choice for binding. Can't wait to see the quilt all finished. Maureen you are a wonderful soul, no doubt made better by this special friendship. I'm sure your friend is smiling down on you and all you have accomplished since you wrote that post four years ago. Thank you for sharing your heart with us today. Thank you so much Amanda, this was so sweet to read today! 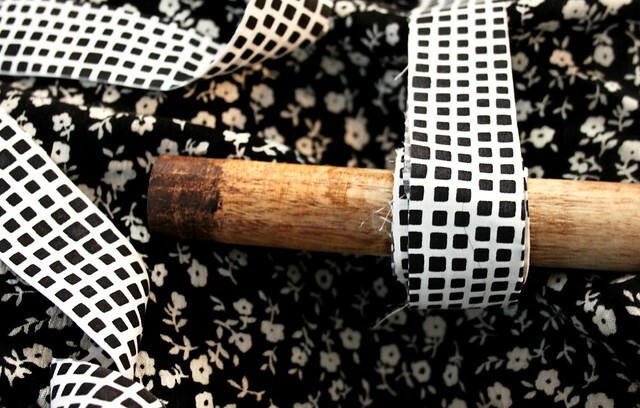 Love the binding fabric ~ it will be wonderful! I love those crowns-- there are some very lucky children at the other end of that post box.. Thank you, I really hope so! Beautiful story about your friend...beautiful flowers...beautiful you. Thank you for sharing this Maureen, it's lovely that daffodils have a special meaning to you. I think we are lucky that we have this creative outlet for many reasons...dealing with grief is one of the most vital ones. I was sewing like a mad woman last year when my Dad died, and still find myself drawn to my machine on dark days. I also have a memory of Daffodils, but it is not as bittersweet. My first marriage turned out to be a mistake. We were definitely too young to be married, but my sweetest memory of him is Daffodils. We lived in Chicago, and when he came home from work in the mornings, he sometimes brought me a bunch of them. 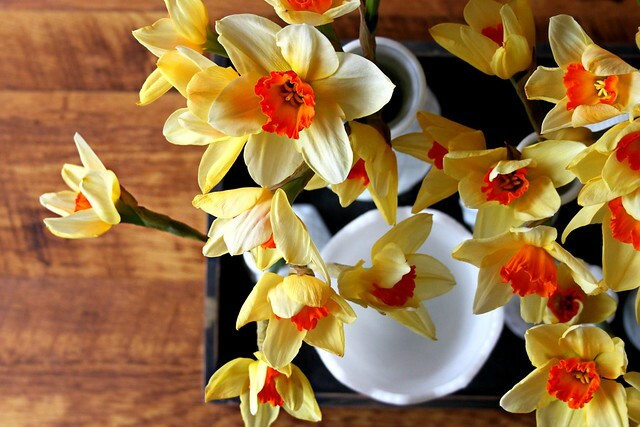 No matter the temperature outside, Daffodils brought spring with their sweet yellow faces. That was almost 50 years ago, and I still cherish that memory. What a cheery post! Love the crowns (as always), and your binding choice is genius! I am so ready for some pretty Spring daffodils!! So nice of you to share. 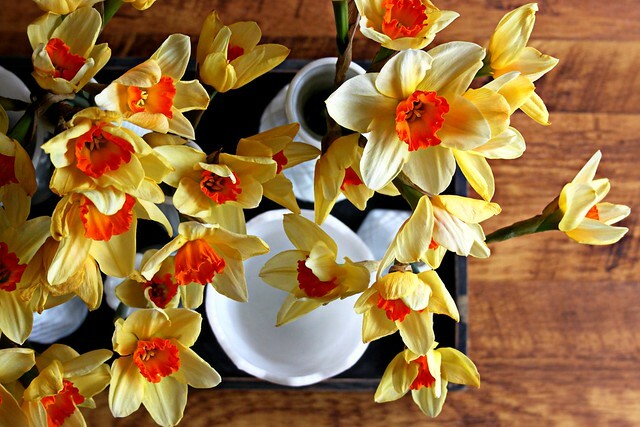 Thank you for this post showing your pretty daffodils. It has made my day... taking me from a sad place in my heart to a better, happier one. Your link to a previous post about your dear friend has cheered me up, and I can face this day with a happy heart. Thanks again, Maureen. Wonderful crowns and beautiful daffodils!